Those who use their truck as part of their business will want to check out the Ram 2500 available at Sierra Blanca Chrysler Dodge Jeep Ram. The Ram 2500 has a large towing capacity and a large payload capacity. 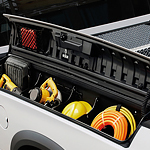 This truck is definitely built for work, and the interior is part of what helps to get the job done. Aside from the stylish design of the Jeep Cherokee, the SUV also delivers numerous safety features. It's always good to have more eyes on the road in Ruidoso, which is what the Cherokee offers with several cameras and sensors that monitor the roadway so that you can focus on the road in front of you. 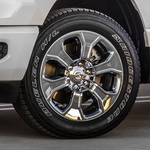 The Ram pickup remains popular with truck owners who want a durable and reliable light vehicle for work or play. The 2019 models have been voted best-in-class for fuel economy. See the trucks in person at our Ruidoso location. Treat yourself to a test drive. The high-intensity steel used to create the truck's frame ensures durability. 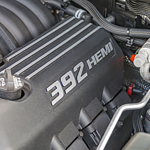 Equipped with a powerful 5.7-liter V8 engine and 4WD capability helped the Ram 1500 to also win best-in-class for towing. The pickup easily pulls up to 12,750 pounds. The truck has a payload rating of 2,300 pounds. Vehicle suspensions have many important jobs to perform, and these include bearing the weight of vehicles and occupants, absorbing shocks, and keeping the tires on the roadways. As such, keeping suspensions in as good shape as possible is a key goal for many vehicle owners. 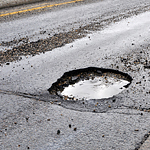 Unfortunately, many of the nation's highways present many road-based obstacles that can do great damage to vehicle tires and wheels. The Chrysler Pacifica is a vehicle that will ultimately give your wallet a break. When you drive this vehicle, you will be able to spend less money at the pump and have more money to spend on family fun. 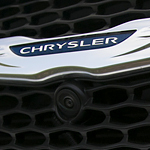 There are several performance features that make the Chrysler Pacifica a unique vehicle. The standard electronic stability control feature is a feature that will help keep you and your passengers safe. The electronic stability control feature applies selective braking and throttle control so that you can maintain directional control while driving. 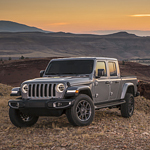 Even before we get the new Jeep Gladiator on the lot here at Sierra Blanca Chrysler Dodge Jeep Ram, we wanted to inform our buyers with an overview of some of the features in this all-new midsize pickup truck. In 2019, the Jeep Cherokee got a completely new look inside. The cabin is more spacious, and there's more cargo room than ever before. The new features include technology options that make it one of the most advanced SUVs on the new lineup for Jeep. 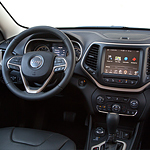 This includes the Uconnect infotainment system, 7-inch touch screen, Apple CarPlay, and Android Auto. the latest features allow you to control the vehicle's entertainment and call functions from the touch screen as well. You can integrate your phone directly with your vehicle. When the Dodge Durango is driven down a street, its V6 engine propels passengers to various destinations without burning a lot of fuel. The automobile's fuel economy provides great advantages on long highways by preventing the need to refueling. 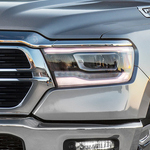 If you're looking for a car that has a Best-in-Class engine, the Dodge Durango is a practical option. Safety is the most important thing to bear in mind when you are on the market for a new vehicle. With that in mind, the Jeep Wrangler comes complete with outstanding safety features. If you would like detailed information about the Jeep Wrangler safety features, the professionals at Sierra Blanca Chrysler Dodge Jeep Ram can assist you in that regard. Our dealership is located conveniently in Ruidoso. If you are in the market for a new vehicle, something with plenty of power and safety is a great option. The new Ram 1500 model is impressive when it comes all of the safety features that are included. You get all of the classic features like air bags throughout. You also get some of the newer technology. This includes lane departure warning system, blind spot monitoring, cross traffic alert and daytime running lights. Brake assist will help you in the instance that your vehicle senses that you have an impact coming up.